We provide diagnosis and treatment for speech, language, voice and swallowing difficulties. We serve clients across all ages, providing high quality personalized speech therapy sessions both in the clinic and at our clients’ homes. We are extremely passionate about what we do and we want to use this passion to encourage, motivate and help our clients improve to the best of their potential. Our many years of acute hospital experience with many challenging and severe cases have taught us to fight, persevere and not give up on our patients. We are not just providing therapy, we are here to understand our patients, build a bond with them, and genuinely care for them and their families. Our sessions are enjoyable and we want to create a positive atmosphere during the treatment. 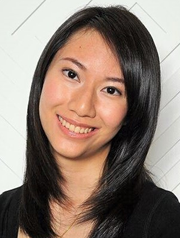 As a fully registered Speech Therapist under the Allied Health Professional Council in Singapore, Beatrice Teo has many years of experience working in National University Hospital (NUH) and Gleneagles Hospital with both adult and paediatric patients. Beatrice is a dedicated Speech Therapist who is passionate about helping her patients improve and recover. Driven by determination to help her patients improve, Beatrice combines traditional therapy techniques with new evidence-based approaches to tailor the best treatment plan for her patients. She treats all her patients genuinely and provides them with the best care. Beatrice is known to achieve success in even the most complex cases and is trusted by many renowned doctors and healthcare professionals. Beatrice is also actively involved in giving talks to doctors, nurses and the public to raise awareness of the benefits of Speech Therapy. She also aims to inspire those living with speech and swallowing difficulties not to lose hope and helps them improve their quality of life. Beatrice is a certified AHPC supervisor, thus she has trained many Speech Therapists to achieve their clinical competency in the past 8 years as a Speech Therapist. Melissa is a fully registered Speech Therapist under the Allied Health Professional Council in Singapore and is also accredited under the Speech Pathology Australia. Melissa has experience working with babies, children and adults in National University Hospital (NUH). SHe also worked with the paediatric population in AWWA Early Intervention Centre. Since joining BSSC, she also had many opportunities to conduct functional home therapy sessions at the client's house, schools, nursing homes and therapy centres. Melissa also has worked in multi- disciplinary and trans- disciplinary models, whilst providing various speech therapy related talks to early intervention teachers, parents and other allied health therapists. Melissa is also a certified AHPC supervisor, thus she has trained junior Speech Therapists to achieve their clinical competency. Melissa is cheerful, optimistic and never fails to motivate her clients and ensures enjoyable therapy sessions. She is creative in her approaches and always thinks out the box to find solutions for her clients. Gwen is a fully registered Speech Therapist under the Allied Health Professional Council in Singapore. She graduated from the University of Sydney in 2012 with first class honours and a university medal. Prior to joining BSSC, Gwen was a paediatric speech therapist at KK Women’s and Children’s Hospital (KKH), where she had more than 6 years’ experience working with infants and children. She is knowledgeable and skilled in a wide range of complex feeding, speech and language disorders. Gwen was also the lead Speech Therapist who ran the voice clinic in KKH where she worked with preschoolers with vocal cord nodules and teenagers with puberphonia. Gwen has strong communication skills which helps her build good rapport with the child and their family. She believes in the importance of parental and caregiver involvement in helping every child achieve their potential in feeding and communication. Gwen is an Allied Health Professional Council (AHPC) Supervisor and has helped many junior Speech Therapist achieve their clinical competency. Charmaine is a fully registered Speech Therapist under the Allied Health Professional Council in Singapore. She has more than 3 years of experience treating children with speech and language delays/disorders as well as feeding difficulties in an early intervention centre in Singapore. Her clients include children with Global Developmental Delay, Autism Spectrum Disorder, Down Syndrome, Cerebral Palsy, cleft palate and hearing impairment. Upon joining BSSC, Charmaine continues her passion of working with children with special needs in more settings such as home, schools, early intervention centres and charity organisations. Charmaine is passionate about helping her clients achieve their highest potential. She is creative in her approaches to help clients develop meaningful communication and feeding skills in enjoyable therapy sessions. She believes in close collaboration with family and empowering them to feel confident in helping their loved ones progress. Charmaine also conducts training sessions for parents, teachers and caregivers regularly. Qingwen is a registered Speech Therapist under the AHPC in Singapore. As a Speech Therapist also accredited under Speech Pathology Australia, Qingwen has several years of experience working in public and private hospitals and aged care facilities in Australia. Upon returning home to Singapore, Qingwen taps on her knowledge from Australia and combines with her understanding of treatment for local clients, she develops a unique approach of therapy to maximize her client’s progress and quality of life. Qingwen finds significant personal satisfaction in delivering high quality speech therapy services. Qingwen’s cheerfulness and enthusiasm is a strong tool to motivate even the most difficult clients to participate well in therapy. Her therapy sessions are enjoyable, functional and effective. Qingwen works closely with family and other professionals to provide holistic care and support to help her clients reach their maximum potential. Besides her love in clinical work, Qingwen has also been involved in speech therapy research projects, which enabled her to contribute back to the community through education sessions. She has also successfully guided and mentored newly graduated speech therapists. Siti is a fully registered speech and language therapist under the Allied Health Professional Council in Singapore and is also accredited under the Speech Pathology Australia. In Australia, she had worked with children from birth to school-age children focusing on speech and language delay/disorders and stuttering. She worked mainly in community settings, schools, hospitals, and rural settings. In Singapore, Siti’s work experience encompassed a diverse range of paediatric clinical experiences. She had worked in a voluntary welfare organisation and private therapy centre where she sees birth to school-age children with multiple medical conditions, childhood apraxia of speech, speech and language delay or disorder, autism, and global developmental delay. Siti’s cheerful and bubbly character, and her passion to work with children allows her to build rapport easily with her clients. Siti’s passion and determination is also reflected in her efforts to go the extra mile for the child and support parents through this difficult journey. Elizabeth is a registered Speech Therapist under the AHPC in Singapore. She is also certified with the State of California and American Speech-Language-Hearing Association. Prior to returning home to Singapore, Elizabeth has worked for more than 4 years in the United States in hospitals, rehabilitation settings and nursing homes. She has successfully helped patients with Stroke, Dementia, Parkinson’s Disease, Pneumonia and Cancer improve on their speech and swallowing function. Elizabeth is efficient and effective in her approach, placing top priority in ensuring that she achieves success in her patients. Elizabeth has a great understanding of the patients’ needs and is highly motivated to make a genuine change in her patient’s life. Her joy is to be able to see her patients achieve their highest potential. Elizabeth is trained as a Clinical Fellowship Mentor/Supervisor in the US to supervise Speech Therapy interns and clinical fellows.